[6 mins. 25 secs.] Author Peter Biskind ("Easy Riders, Raging Bulls") visits the podcast for the first time. His latest book called "The Sky Is Falling: How Vampires, Zombies, Androids, and Superheroes Made America Great for Extremism" (The New Press, 2018) is currently available where books are sold. In this book —his eighth— the bestselling cultural critic takes us on a dizzying ride across two decades of pop culture to show how the TV and movies we love have taught us to love political extremism. Welcome to a darkly pessimistic, apocalyptic world where winter has come, the dead are walking, and ultra violence, revenge and torture are all in a day's work. Welcome to the new normal. In "Can You Ever Forgive Me? ", Melissa McCarthy stars as Lee Israel, the best-selling celebrity biographer (and cat lover) who made her living in the 1970’s and 80’s profiling the likes of Katherine Hepburn, Tallulah Bankhead, Estee Lauder and journalist Dorothy Kilgallen. When Lee found herself unable to get published because she had fallen out of step with the marketplace, she turned her art form to deception, abetted by her loyal friend Jack (Richard E. Grant). 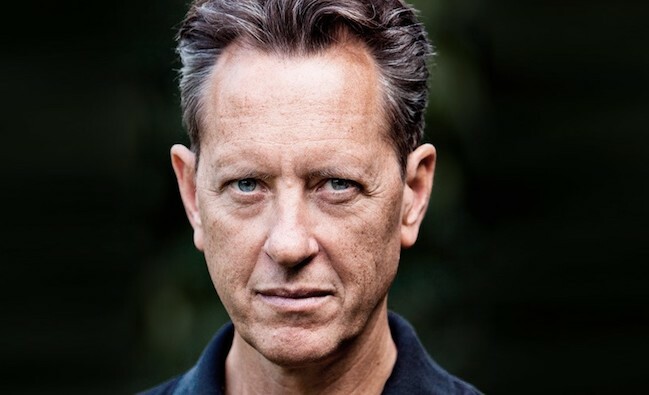 This part of the podcast is broken into two parts: the first is with the great actor Richard E. Grant ("Withnail & I", "Downton Abbey") who plays the role of Jack Hock in the movie. Jack becomes a friend of Lee's (or as much of a friend as Lee can maintain) and becomes involved in her forgery scheme. Their relationship is very touching and while some liberties were taken, most of what you see is based in truth. It was an honor and pleasure to welcome Grant on to the podcast. In the second interview for the film, I welcome actor Dolly Wells (HBO's "Doll & Em") to the podcast. Dolly plays Anna, the proprietor of a bookstore that begins to buy the forged letters from Lee and also starts a friendship with her as well. Until things take a dark turn, anyway. "Can You Ever Forgive Me" is being distributed by Fox Searchlight, and opens theatrically Friday, October 19th. In addition to McCarthy, Grant, and Wells, the film also stars Jane Curtain, Ben Falcone, and Stephen Spinella.